Sat nav (GPS) error – car directed to the wrong destination. 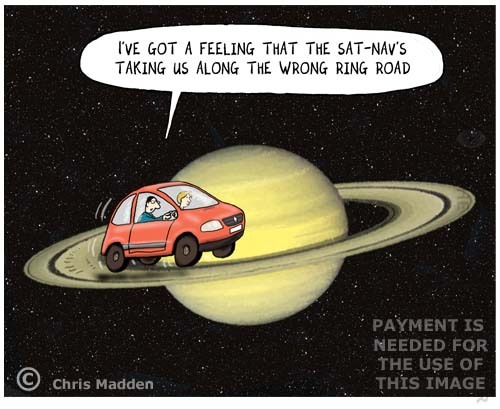 Sat nav (GPS) error cartoon – a car directed to the wrong destination by the sat-nav. The caption reads: I’ve got a feeling that the sat-nav’s taking us along the wrong ring road.